A 40-Carat Diamond Ring with Ties to the French Royal Family Was Just Recovered by Police in Paris. The piece, which has ties to Napoleon III, had been stolen out of a parked car in the 6th arrondissement. Wife of Napoleon III and the last empress of France, Eugénie de Montijo, owned an extraordinary personal jewelry collection, as well as having access to the French crown jewels. 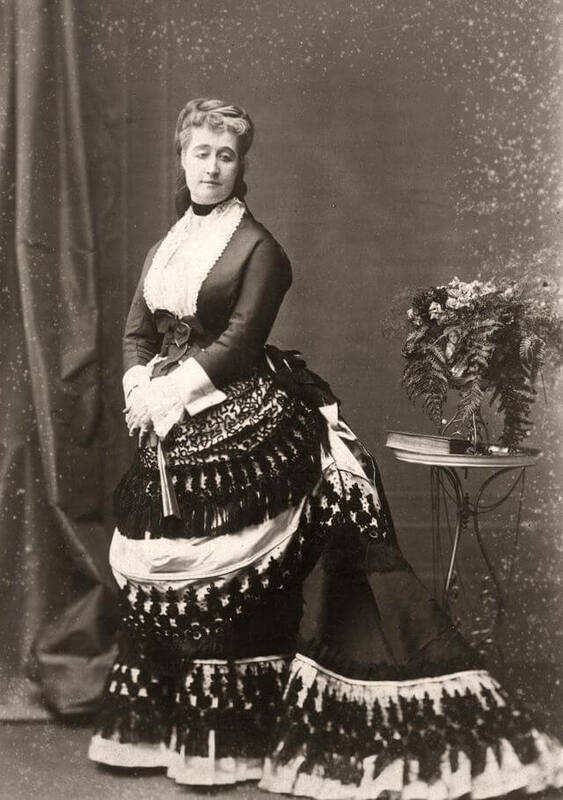 The daughter of Spanish nobility caught the eye of Louis Napoleon early on. “What is the way to your heart?” he is said to have asked her. “Through the Chapel Sire,” she answered. But she liked diamonds too. She commissioned jewels from both established royal suppliers like Gabriel Lemonniere but also looked to rising stars like Pierre Cartier and Frederic Boucheron. She wore diamond star and flower pins in her hair and a variety of bow shaped diamond brooches at the waist of her dresses. She is credited with sparking an international trend with her corsage bow brooch and with her penchant for nature themed jewels: roses, feathers, vine leaves. Her tiaras had strong ties to the past—one Greek meander tiara included diamonds from Napoleon’s sword, another included pearls belonging to the Empress Josephine. Eugenie was known for her jewels and wore them often but when in 1870 word reached her that France had been defeated in the Franco Prussian War, she fled the country and into England and left all jewels paid for by the State—and some of her greatest treasures—behind. A noble gesture certainly, but one that led to the loss of some of history’s most important jewels. The theft of the Bonaparte diamond in Paris last week is just the latest saga in the epic tale of the French Crown Jewels. In 1792 a major heist saw many of the greatest treasures disappear, only to be acquired back for the restoration of the Empire years later. After Napoleon III’s defeat in 1870, the Second Empire was overthrown and the government began to strip royal crowns of their most valuable and historic stones both as a symbol and to sell them off for cash, arbitrarily keeping some to display in Paris museums. The great sale of the French Crown Jewels happened in May 1887. Tiffany & Co famously bought 24 of the 69 lots to satisfy the appetites of Gilded Age heiresses for anything with a European royal provenance. Carl Faberge bought the La Regente pearl that he then sold to a ruling family of famous collectors in Russia. Louis XIV’s eighteen Mazarin diamonds from India’s famed Golconda mine were also dispersed. One turned up at Christie’s in 2017 and was sold for $15 million. The sale is often pointed to as one of history’s greatest jewelry tragedies. One of the most impressive collections the world had ever seen, taken apart and dispersed around the world. Though some are now back on display at the Louvre, and others occasionally appear at auction, many of the French Crown Jewels stones and pieces have never been recovered.